1. 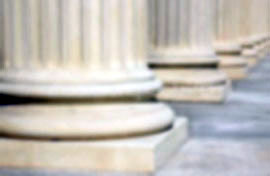 There is no conflict between caselaw authorizing the garnishment of a joint bank account irrespective of which depositor contributed the funds and the Minnesota Multi-Party Accounts Act, because the act governs only nonprobate transfers upon the death of a joint depositor. 2. Without persuasive evidence that a party�s medical condition prevented him from responding to a lawsuit, the district court did not abuse its discretion in ruling that a default judgment against that party should not be vacated. In an action to collect rent due on a lease, appellant failed to file an answer or to respond to numerous requests for discovery. The district court entered two default judgments against appellant, struck his answer for procedural violations, and permitted the garnishment of two bank accounts that appellant held jointly with his wife. On appeal in the garnishment dispute and from the default judgments, appellant argues that the garnishment of the joint accounts is improper under Minn. Stat. � 524.6-203(a) (2004) because someone other than appellant contributed to those accounts; the district court should have, under Minn. R. Civ. P. 60.02, vacated the judgments against appellant; under the circumstances here, the district court abused its discretion by not reinstating appellant�s answer to respondents� complaint; and the district court should have allowed appellant to amend his answer. We affirm. This is an action for rent allegedly due under a commercial lease entered on June 10, 1999, between respondents S.E. and Marlys Enright, dba Pride-One Co., as �lessor,� and appellant Robert H. Lehmann, dba Lehmann Engineering, Inc., as �tenant.� The parties understood that the engineering corporation would occupy the premises. Alleging defaults in rent, the respondents sued both Lehmann individually and the engineering corporation in 2005. Lehmann served a pro se answer in which he denied liability on the ground that �the lease existed solely between [S.E. and Marlys Enright] and Lehmann Engineering, Inc.� When the engineering corporation did not answer, the respondents obtained a default judgment against it and continued the litigation against Lehmann individually. The respondents served discovery on both the engineering corporation and Lehmann. Neither responded to the discovery requests or to a later court order compelling responses. Nor did Lehmann file his answer with the court. Ultimately, the district court struck Lehmann�s answer, awarded judgment for attorney fees against Lehmann for his discovery violation, and granted a default judgment against him for rent due and for attorney fees under the lease. In an effort to satisfy the two judgments against Lehmann, the respondents garnished two joint bank accounts held in the names of Lehmann and his wife, Zandra Lehmann. Lehmann claimed that the accounts were exempt from garnishment for his debts because the funds in the accounts belonged entirely to his wife, and he moved for an order staying execution on the judgments; dissolving the garnishments; reinstating his answer; and allowing him to amend his answer to assert a counterclaim. The court denied the motions. After the respondents garnished one of the joint bank accounts for a second time, Lehmann sought a hearing on his exemption claim. The court denied the exemption, ruling that the joint account was subject to garnishment for Lehmann�s debts. 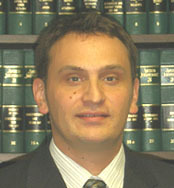 The court also held that Lehmann lacked standing to dispute the garnishment of funds that he claimed belong to someone else. This appeal followed. 1. Is a joint bank account subject to garnishment for the debts of one depositor if the funds in the account were contributed solely by the other joint depositor? 2. Did the district court err in denying appellant�s motion to vacate a default judgment and discovery-violation sanctions against him when he alleged that his failure to comply with the court�s order was because of chronic, debilitating fatigue, but without a persuasive showing that the condition prevented appellant from responding? 3. Did the district court abuse its discretion in refusing to reinstate appellant�s answer after the court awarded a default judgment against him? Lehmann first argues that the garnishments of the bank accounts that he holds jointly with his wife were improper because the evidence incontrovertibly shows that all funds on deposit belong to her. He relies on the Minnesota Multi-Party Accounts Act, which states that �[a] joint account belongs, during the lifetime of all parties, to the parties in proportion to the net contributions by each to the sums on deposit, unless there is clear and convincing evidence of a different intent.� Minn. Stat. � 524.6-203(a) (2004). The respondents contend that the issue is controlled not by the legislation on which Lehmann relies but by the law of Park Enters. v. Trach, Inc., 233 Minn. 467, 470, 47 N.W.2d 194, 196 (1951), which holds that a joint bank account is subject to garnishment in its entirety for the individual debts of one of the depositors. The parties have raised an issue of law, which we review de novo. Joel v. Wellman, 551 N.W.2d 729, 730 (Minn. App. 1996), review denied (Minn. Oct. 29, 1996). Preliminarily, Lehmann challenges the district court�s ruling that he lacked standing to dispute the garnishments of a joint bank account. As a joint depositor, Lehmann had a sufficient interest in the accounts to raise an exemption claim. He had standing to dispute the garnishments. Lehmann acknowledges the Park Enterprises rule but he contends that the rule conflicts with later, superseding legislation, and that the Multi-Party Accounts Act governs here. He supports his contention with an unpublished decision of this court. That case is neither precedential nor does it hold that there is a conflict between caselaw and statutory law on this issue. Lehmann�s reliance on that decision is misplaced. Park Enterprises held that �[s]ince in purpose and legal effect a garnishment proceeding is virtually an action brought by defendant in plaintiff�s name against the garnishee . . .  [d]efendant is entitled to withdraw any part or all of the account, and plaintiff, in effect, is subrogated to that right.� Park Enters. Inc., 233 Minn. at 470, 47 N.W.2d at 196. The statute upon which Lehmann relies is contained within the Uniform Probate Code. Minn. Stat. �� 524.1-101-.8-103 (2004). In enacting that legislation, the legislature expressly stated that the provisions of the code are intended to promote the purposes and policies of: (1) simplifying and clarifying the laws regarding �decedents, missing persons, protected persons, minors, and incapacitated persons; (2) to discover and make effective the intent of a decedent in distribution of property; [and] (3) to promote a speedy and efficient system for liquidating the estate of the decedent and making distribution to successors.� Minn. Stat. � 524.1-102(b)(1)-(3) (2004). The code does not purport to govern relationships or rights of anyone other than decedents, missing or incapacitated persons, or minors. There is no evidence in this record that either Lehmann or his wife fits any of those categories of people to whom the code provisions apply. Furthermore, Article 6 of the code, upon which Lehmann specifically relies, is entitled �Nonprobate Transfers on Death� and applies to issues arising after the death of a joint depositor of an applicable bank account. Minn. Stat. �� 524.6-201-.6-214 (2004). The title of the article and its inclusion as part of the Uniform Probate Code compel the conclusion that the law upon which Lehmann relies in urging the impropriety of the garnishments is not applicable to the garnishment issue raised here. Because it appears that the rule in Park Enterprises continues to govern the garnishment of joint bank accounts, we hold that the district court did not err in ruling that the accounts held jointly by Lehmann and his wife was subject to garnishment for Lehmann�s individual debts. The district court struck Lehmann�s answer and awarded a judgment for attorney fees for Lehmann�s failure to comply with the court�s discovery order. The court also awarded a default judgment against Lehmann for rent due under the lease and for attorney fees provided in the lease. Lehmann sought to vacate both judgments, urging that his seriously impaired health prevented him from complying with the court�s order. He also contended that he has a meritorious defense to the respondents� claim that he is liable for unpaid rent under the lease. To prevail on a motion to vacate a default judgment under Minn. R. Civ. P. 60.02, on which Lehmann relies, the moving party must show, among other things, that he had a reasonable excuse for his failure to act and that he has a reasonable claim or defense on the merits. Hinz v. Northland Milk & Ice Cream Co., 237 Minn. 28, 30, 53 N.W.2d 454, 455-56 (1952). We review the district court�s ruling on a motion to vacate a default judgment to determine whether the court has abused its discretion. Galbreath v. Coleman, 596 N.W.2d 689, 691 (Minn. App. 1999). As to his failure to comply with discovery and with the court�s order compelling discovery responses, Lehmann contends that his escalating blood pressure resulted in overwhelming and debilitating fatigue which caused him to be physically unable to respond to the respondents� discovery requests. He supports his contention with the opinions of two physicians who had treated him, and with his wife�s affidavit. One physician stated that Lehmann�s high blood pressure was the worst he had seen in 30 years of practice and that the medication the doctor prescribed �caused fatigue which seems to have been disabling for him.� The second physician indicated that the medication he prescribed caused Lehmann �to experience mental and physical fatigue on a daily basis, as well as feeling not well in general.� Lehmann�s wife stated that his condition made him �nonfunctional� and that he was unable to perform the tasks that normal people perform and that �it was a struggle for him to understand things� she would say to him. Although a serious and debilitating medical condition could be a valid reason for a party�s noncompliance with discovery, the record shows that there were multiple contacts with Lehmann extending from February through September 2005, either through discovery requests or court orders, but never any mention by Lehmann of medical problems of such a degree that he could not comply or respond. On this record, the court did not abuse its discretion in determining that Lehmann had not shown a valid, reasonable excuse for his omissions. Because a valid excuse must be demonstrated to obtain the vacation of a default judgment, this failure is sufficient to support the court�s ruling. Lehmann argues that the sanction of striking his answer for discovery violations and his failure to comply with filing and informational statement requirements was unduly harsh and excessive. We have already noted that Lehmann�s failures to comply with discovery and court orders did not constitute excusable neglect sufficient to support the vacation of the default judgment. Minn. R. Civ. P. 37.02(b)(3) provides that the court may strike pleadings as a sanction for a party�s failure to comply with a discovery order. Lehmann�s omissions and violations were numerous and ongoing. He simply did not respond to informal or formal efforts by the respondents� attorney to obtain discovery to which the respondents were entitled. And he did not respond to court orders compelling him to respond, nor did he make any of the required court appearances. The sanction of striking pleadings is substantial and should not be levied lightly or for minor deviations. But here the record shows noncompliance with virtually every progressive effort to obtain discovery. The district court was left with little choice other than to impose this sanction and, in doing so, it followed all applicable rules and did not abuse its discretion. The district court did not misapply the law by permitting the garnishment of two joint bank accounts that Lehmann held jointly with his wife, since Park Enterprises sets forth the prevailing theory regarding creditor�s rights in relation to accounts held by more than one owner and there is no conflict with the Minnesota Multi-Party Accounts Act. Additionally, the district court did not err by not vacating the default judgments and reinstating the answer since Lehmann failed to provide a reasonable explanation of his failure to defend in the action.